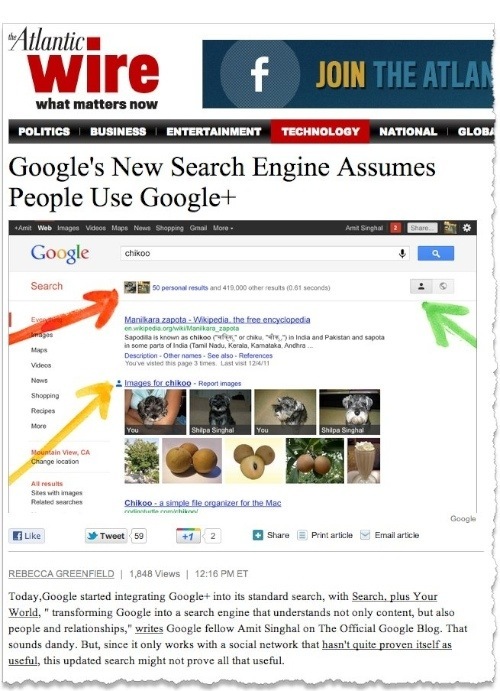 This looks like a way to drive traffic to G+, which has lost some traction. Google assumes people sharing links etc will unlikely be spammers but the SEO benefits from the integration of G+ into search will undoubtably attract legions of spammers. Automated scripts could create massive amounts of G+ posts and +1s in a bid to fool Google into ranking spammer's content higher in search results. How can Google control against this type of spam flood? It won't be easy. But the resulting rise in traffic and activity on G+ by the spammers will make a nice graph to show the world how popular G+ has become.